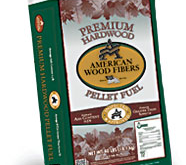 Firewood & Wood Pellets - Homestead Gardens, Inc. | Homestead Gardens, Inc.
Our firewood is seasoned after it is split allowing excess moisture to evaporate – preventing slow burn and excessive smoke. 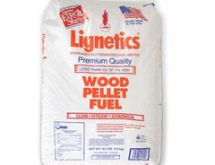 Lignetics premium wood pellets produce a consistent, high BTU output and produce less than one percent ash. This translates to a hotter, more efficient burn, which means less wood pellets burned, fewer wood pellets purchased, less space needed for storage, fewer trips to the wood pellet hopper and less waste to clean up. Kiln-Dried and cut 9 to 11 inches long and split 1/8 to 1 inch thick, just the right size to start any fire. Hotsticks Kindling is perfect to use when your firewood is damp, not seasoned properly or if your firewood is too large to start on its own. Makes starting a fire easy. Consists of two parts: pinewood and the resin created in that very tree; It’s 100% all-natural. As the tree matures, this natural resin moves downward, collecting in the stump. Beat the Winter chill with a portable patio firepit made of copper or steel. Stop by either store to see our selection. Temperatures are dropping but Homestead Gardens has just what you need to stay warm this winter! Supplies will vary between our Davidsonville and Severna Park locations. PLEASE CALL AHEAD FOR AVAILABILITY. We sell only seasoned hardwood firewood including oak and other hardwoods. Our firewood is seasoned after it is split allowing excess moisture to evaporate – preventing slow burn and excessive smoke. We also carry fatwood and kindling to help get your fire started! We provide a wide assortment of fire pits and fireplace accessories including log racks and totes, fire rings, ash buckets, and other tools. Stay warm outdoors in cooler weather with a portable patio fire pit in copper or steel. Check out our selection today! If you don’t have time or the right vehicle to transport your firewood, we can deliver! Call 410-798-5000 to order and schedule your delivery. Need your firewood split and stacked? Our landscape division is here to help! Call 410-867-6336 with your request.